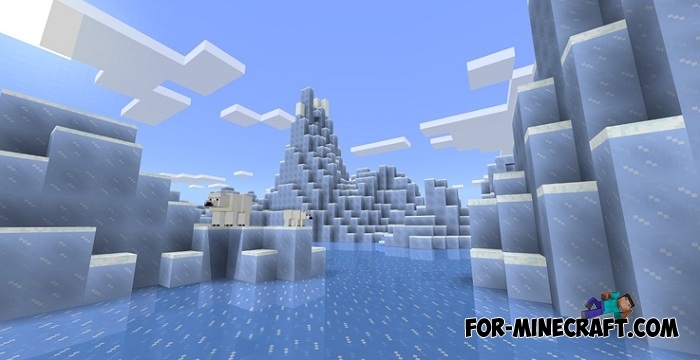 This is only the first phase of the water upgrade for Minecraft Bedrock, which received the number 1.4.Xbox One, Win 10, Mobile OS such as iOS and Android owners, as well as Virtual Reality devices (Gear VR, Oculus Rift and others). All of them will receive this update which introduces a lot of new content, about which developers have said very much. 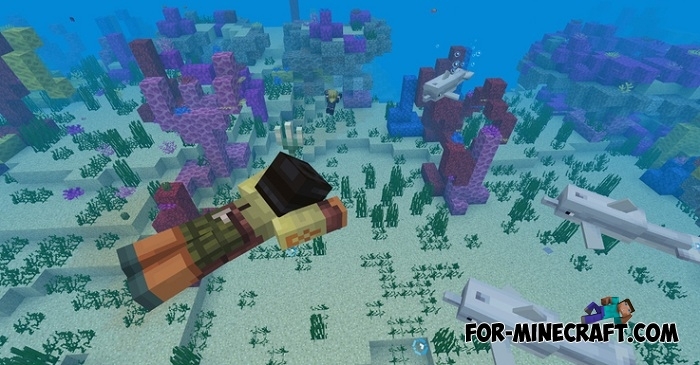 So far, Minecraft 1.4 is the version that introduces players to all the interesting features available in the Aquatic Update. Everyone was waiting for version 1.3 and, probably, it will appear but not yet. The second phase of MC:PE 1.4 will not be released so soon, the developers are engaged in the water update for Minecraft 1.13, which is approaching the release and appearance of the first pre-release versions. Well, now you can see the changelog for Minecraft Bedrock Edition 1.4 which has everything that we saw in the beta version 1.2.X. It should be noted that this is not the entire list of changes, the complete one you can see in another article.